On Friday 5 October, the Chief of the General Staff, General Sir Peter Wall KCB CBE ADC Gen, visited the Cadet Training Centre (CTC) Frimley Park, on the final day of that week's King George VI Memorial Leadership course (known more commonly as KGVI). He was met by the current Commandant, Lieutenant Colonel Steve Clarke MBE GM QGM+, and was introduced to the directing staff, before taking a question and answer session from the adult volunteers of the Army Cadet Force and Combined Cadet Force who made up the course students. It was not the General's first visit to CTC. 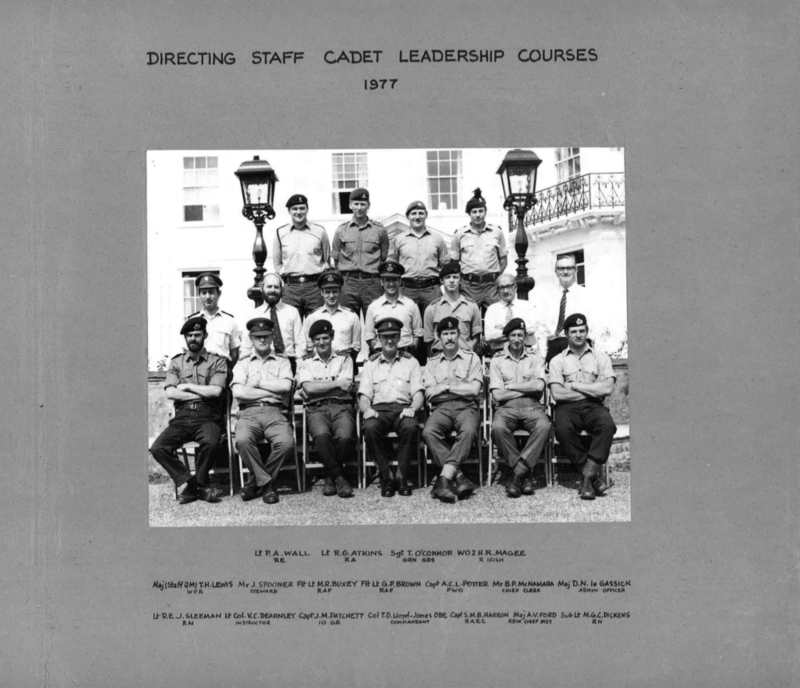 35 years ago, back in 1977, he was seconded to CTC as a Platoon Commander for that summer's Cadet Leadership Course (CLC), pictured. The Cadet Leadership Course still runs every summer, offering senior cadets the opportunity to develop initiative and self-reliance by using the challenging and physically demanding problems of practical leadership.